Looking for private in-home or in-studio Cello lessons? Our Suwanee teachers are ready to get you started. Find your teacher today! Check out some of our most popular teachers near Suwanee, GA including Atlanta, Marietta, Decatur, Alpharetta and Duluth. I've been teaching beginner to intermediate cello for 1 year. I played cello for 2 years in High School orchestra. I love to create. The way I'm most comfortable creating is through writing; whether it's a song, a short story, a poem or a script. Writing has always been the bass line in my life; the heartbeat. Music and film are both passions of mine. I graduated from Berklee College of Music where I studied Songwriting and Music Therapy. I was pushed to my absolute limits lyrically and musically within these majors, and I am so grateful for it now that I'm on my own creative journey. I have a great deal of experience, but I am also still learning. I think it is very important as a teacher to always be learning, especially through their students. Teaching these lessons is, of course, about progress and advancement - but also about enjoyment, confidence building and positive encouragement. Olivia is very sweet and very knowledgeable. My student has fun while learning! Seven years experienced cello teacher available for eager students of all experience levels and ages! 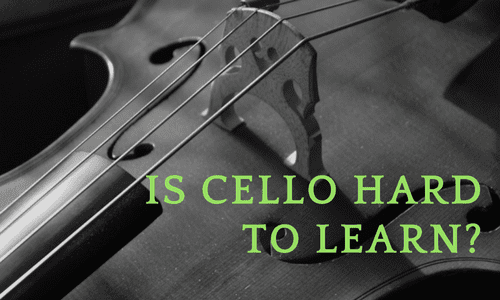 I structure my lessons so students can learn the art of cello. Twenty years of performing career experience helped me to develop philosophy of live performance. I would love to share my passion and knowledge for music. -Bachelor, Academy of Arts, Prof. Imre Kalman cello studio. University of Serbia. -Artist Diploma, Prof.Wendy Warner cello studio. Columbus State University. -Master of Music, Prof.Richard Hirschl cello studio. CCPA Chicago. -Doctor of Musical Arts. Dr. David Starkweather cello studio. University of Georgia. It has always been a big inspiration and pleasure to teach students of all ages. I have seven years of experience teaching private lessons. Love for music inspired me to share my knowledge, and makes other people feel more passionate about the same. My middle-schooler is taking 45-minute lessons once a week, and she is learning so much in that period of time! The instructor is very knowledgeable and thorough in conveying cello concepts to my 12-year-old. Fantastic first lesson. Valentina was enthusiastic and very encouraging. 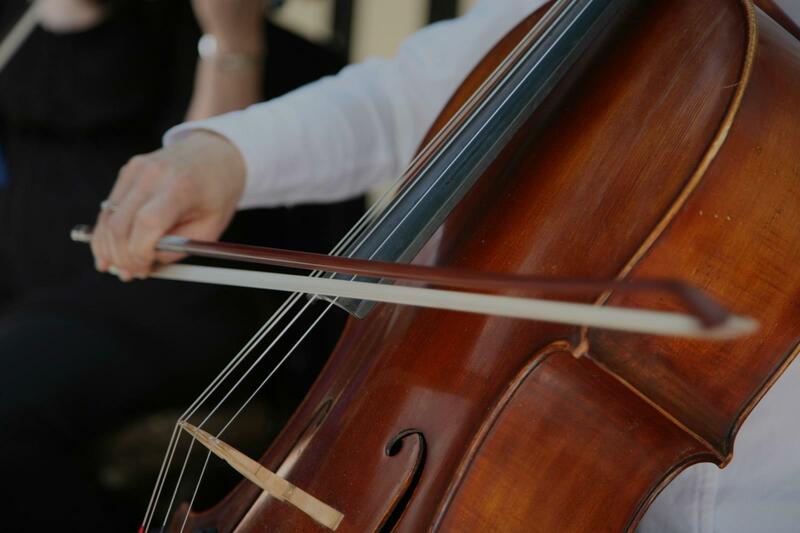 Experienced Cello teacher of 5 years available for eager students of all experience levels and ages! I structure my lessons so students learn what they want to learn, while also building a strong foundation of music knowledge. I specialize Suzuki Method and Essential Elements books depending on the students needs. I push to evolve with each student and create a fun a positive environment in which to learn and I strive to help you meet your goals! I plan and offer yearly professional student shows and concerts to give each student a practical application to their studies. Hello, My name is Michael and Im excited to meet you! I've been teaching private & Professional lessons since 1997! I love helping students accomplish their goals like, getting into college, hit auditions, and more, but above all I love to inspire the love of Music and Performance Arts! Throughout my professional career I have toured and played with bands such as Soul Fire, 3 Door Down, and others, and have performed for companies such as 4 County Players in Virginia, Busch Gardens Williamsburg, and Carolina Players in NC. I play multiple instruments from woodwinds, brass, to guitar, mandolin, violin and have training in singing and vocal training and more! it is important to stay fluid and adjust to each student's learning style to create successful students at any age from 3 to 100! My only goal is to help you reach yours! I teach Suzuki Method when appropriate, as well as popular scholastic methods when needed for a school band program however, I mostly teach to the student. Each student gets a unique and personalized experience tailored to their specific goals and needs using a variety of available materials, but above all I strive to teach fun when learning the arts! I am an adult who has no experience with any type of instrument and was very nervous and intimidated at first. Then I met with Michael, and though there was a ton of information we had to go through, he really made me feel at ease. He has the knowledge, patience, and understanding I was really looking for in a teacher and I'm so happy I found him! With his flexibility and willingness to accommodate us my daughter learned a lot from him. He was a wonderful teacher and a great person to do business with. Michael is very energetic and passionate about music. My kids have really enjoyed their time with him and we would recommend him to anyone! I have taught private cello as well as public school orchestra (elementary - high school) for many years. My approach is traditional with Suzuki materials and philosophy. In each lesson I cover basic fundamentals of cello playing, solo repertoire, ensemble playing, rhythm and theory. With a fun and enthusiastic approach, we will make a lot of progress in a short amount of time. Susan was born in California to a musical and artistic family. Susan studied with Margaret Rowell in Berkeley, California. In 1960, Susan was the winner of The International String Congress Competition and traveled to San German, Puerto Rico to study with Theodore Salzman. After graduating from Washington State University, Susan taught music, art and K-12 in various subjects in California, Wyoming and Utah, where she was married and raised two cello playing daughters. hed Service in Education Award, 1993 and Outstanding Middle School Teacher- Utah Rural Schools, 1990. She is the best... she makes each lesson interesting and fun for my daughter. She have a style of teaching that makes a child understand easy. She is very patient and will help student in anyway to learn and reach their goal. I am glad that we found her through Takelesson. Great teacher, very organized and really knows het stuff! She very easy to work with. Taking cello lessons from Susan has been a wonderful experience for my child, and it has been lovely for me to associate with her. Susan has passion, warmth, and many years of experience. Initially, it can be a bit overwhelming (especially as a parent with little musical experience) to take in all that Susan will throw at you, but soon you will see the benefits of her broad range of knowledge and the holistic education she offers. She covers the many facets of playing cello, including rhythm, reading music, theory, group practices, careful attention to bow hold, tone production, performance, ensemble playing and listening. She is consistent and reliable. My child looks forward to Susan’s lessons each week and has commented, “Susan always finds something good, then gives me ideas on how to make it better.” She puts a lot of time, resources, and creativity into enriching activities that motivate kids to stay engaged and practice regularly. We highly recommend her! 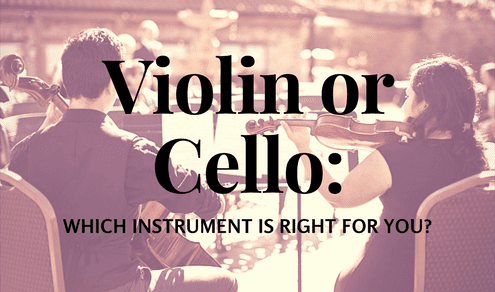 Experienced teacher to cello students of all ages! I believe that creating good musicians is creating good people, and through learning the cello we can create a lifelong friend in our instruments. In my teaching I like to create a solid technical foundation, using the body naturally so that making music is a fun and stress-free experience. For the past 4 years I have been teaching using the Suzuki method, which stresses the important motto of "Every Child Can!" Experienced performer and teacher living in the Chicago area. I've taught students of all ages in both private and group settings, and utilize Suzuki and traditional methods to help you meet your musical goals. In your lesson you can expect to gain: a technical knowledge of how to play the cello in a relaxed way, music theory concepts as they apply to cello, step-by-step instruction to help you learn to play the kinds of music that you enjoy, and a dedicated teacher passionate about helping you learn! I love playing and teaching the cello, and I'm so excited to share that with you. I make lessons fun and engaging, and you'll leave feeling positive and focused on progress. I believe that the technique should serve the music, so we'll always focus on creating art and telling a story. Cello playing mirrors life, so what we do in the practice room will have much larger applications than you might anticipate! From beginning students learning the basics to advanced players who need a push in the right direction, I aim to help you improve quickly and have a great time doing so. ty service and growing to teach as part of the Aspen Music Festival PALS program. I live and breathe the cello, and I can't wait to share my passion with you. Claire is extremely patient and plays the cello beautifully. She always has tips and suggestions to help you play better. Her feedback is also always tempered with kindness. She is good at coaxing your best out of you. My 12 year old son has been taking lessons with Claire online for a couple of months. He had been playing a few years in school but never had an individual lesson. She is helping him create some new habits while improving his technique and musicianship. She is very encouraging and supportive (and fun!). Looking forward to seeing how he progresses in the future! I have been studding strings from age 8, starting on violin. I switched over to cello when I turned 13 and received scholarships to potentially attend the University of Pacific in Stockton, CA. I instead studied cello at the University of California, Santa Barbara where I had the opportunity to perform in the university's symphonic orchestra and teach private lessons to college students as well. I have experience teaching from the Suzuki method, but consider myself to be a flexible educator and teach many methods according to the needs of the student. I am an experienced and well-rounded musician of nearly 22 years. I have studied the piano, cello, and clarinet throughout my life and am currently a freelance performer in Colorado Springs. I have taught professionally since 2009. I attended the University of California, Santa Barbara where I received my Bachelor of Arts Degree in Music, Clarinet Performance in 2013. I received a GPA of 3.3 and studied and performed both clarinet and cello. In 2015, I graduated from California State University of Sacramento with a Single Subject Teaching Credential in Music with a 4.0 GPA. I mainly performed clarinet at the university, many local ensembles, chamber music, and I even had the opportunity to perform abroad in the United Kingdom in 2016.
my teaching credential, I student-taught in Davis Joint Unified School District from 2014-2015. Then, I was employed with Twin Rivers Unified School District from 2015-2017, where I had the privilege to teach elementary general music and choir to students learning English as a second language, students of special needs, and in addition, students from very low income homes. Most recently, I taught elementary general music, choir, and band with the Galt Joint Union Elementary School District from 2017-2018. I recently moved to Colorado Springs because my husband is a newly commissioned officer with the United States Air Force Academy Band, stationed at Peterson Air Force Base here in Colorado Springs. We have loved our experience so far in Colorado and love to explore the outdoor activities and sight-seeing in our free time. First off, let me tell you that Megan is not only an outstanding musician. She gifted in the art of patience. This is what makes her an excellent teacher. She is also a quality person, an asset that's instrumental " no pun intended" in teaching the Arts. Megan teaches not only skills and technique, she passes on a love for music and joy in learning. She demonstrated patience with my daughter, and my daughter couldn't wait for another lesson mainly because it was time with Megan. I recommend her highly! Megan is an excellent musician & yes, a kind and gentle person. But, please know, she is one of the most self-motivated students I ever encountered! Performed recital not required at an extremely high level of musicianship - and after graduation, successfully pursued a performance career! I’m certain that she’s great at sharing her knowledge - but also her enthusiasm is extremely contagious! Whether clarinet, cello, or piano, you (or your student) must experience her joy of music and of life in general! Can't find a teacher in Suwanee, GA? "Excellent experience for my son. Nicholas is filling in many gaps for him and laying a foundation for his future. Highly recommended!" ins technique/fundamentals in a way I can understan. I definitely feel challenged, and I leave each lesson wanting to practice for the next lesson. He’s also provided a lot of guidance for purchasing a cello and bow. Awesome experience so far." "went over where i left with last teacher. He also went over some foundational lessons ." uiet manner while teaching, though it is common to hear chuckles coming from the room during the lesson. Nicholas is himself an excellent musician, but he has very realistic expectations for his students. My son has made tremendous progress on the cello in a short time. Originally, we were in the same city with Nicholas, so the lessons occurred in our home. Recently, we moved out of state, and are thrilled that we can continue lessons with him online. Some of the things I have especially appreciated about him are his punctuality, being prompt and timely in his communications with us, and his willingness to work out scheduling details with us. Highly recommend Nicholas!"